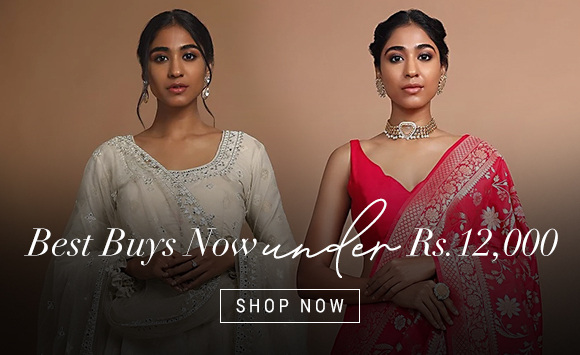 Some occasions in your life deserve a special dress and when it comes to Indian Ethnic wear; nothing catches the limelight as much as these gorgeous party-wear kurtis from KalkiFashion.com. Each piece is carefully designed and created with dedication so that they appear regal and rich on you. Adorn one of these party wear kurtis from KalkiFashion and walk with elegance befitting a queen. The greatest bonus, among many others, that comes with Indian dresses is their versatility and flexibility. Pretty much any Indian dress can be customized and personalized to include western sartorial influences and silhouettes to create unique and highly stylish attire, and Indian kurtis completely justify this claim of ours. This highly adaptable and comfortable Indian shirt has been a global favorite for a long time and in India, they are one of the most common outfits worn by young girls and older women alike. When rushing to college or office early in the morning, a kurti is the ideal pick, while when getting dresses up for a family event, a party or a formal gathering, a party wear Kurti is the best option. 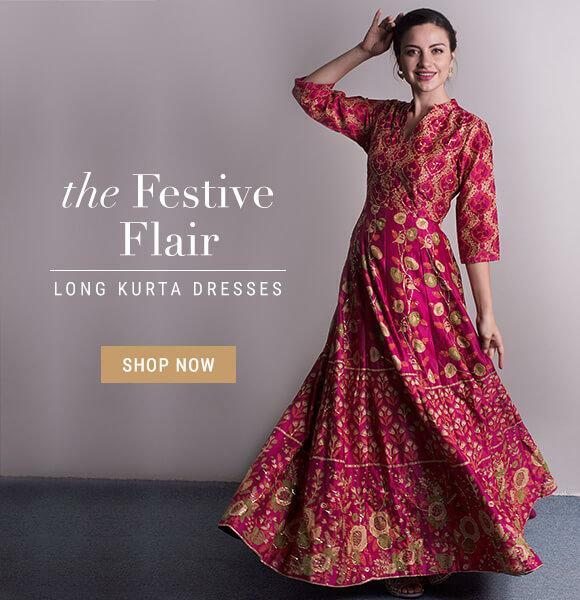 Party wear kurtis provide ladies with the option of feeling physically at ease and extremely comfortable while looking chic, graceful and their stylish best. The use of various types of fabrics and designs on kurtis make them a very global dress. Besides, one can team up a nice kurti with a pair of jeans, tights, trousers, churidars or skirts and manage to look absolutely stunning nonetheless. Designer party wear kurtis are embellished with craft works and fabrics that match up to the occasion in question &ndash; like sequins, patch work, embroidery, gota patta work, appliqu&eacute;, digital prints, thread work and zari or Zardosi etc. One can nearly go for any colour in a party wear kurti &ndash; e.g a red embellished kurti is ideal when you are attending a friend&rsquo;s marriage ceremony, and a black minimalistic kurti with velvet borders is ideal for a nice cocktail evening with your colleagues etc. Depending upon the occasion ranging from a birthday bash to a wedding, you can pick colours like red, green, blue, magenta, brown, baby pink, off white, beige, yellow, orange, purple and crimson etc. Buy party wear kurtis online from our range of highly elegant and sophisticated kurtis specially engineered to accentuate your feminine side and make you look smart, trendy and unique.